PTP: Great opportunities come to those who make the most of the small ones. 52 "Woe to you experts in the law, because you have taken away the key to ___________. You yourselves have not entered, and you have hindered those who were entering." 53 When Jesus left there, the Pharisees and the teachers of the law began to oppose him fiercely and to besiege him with questions, 54 waiting to catch him in something he might say. 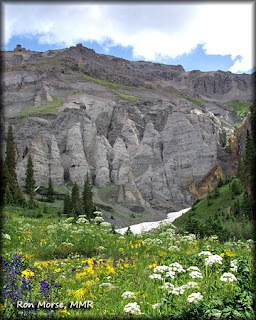 Ophir Pass (goes between Telluride and Ouray, Colorado). Looking back down on the area we just traveled. PTP: Godliness is the ability to let your light shine after your fuse is blown. 47 "Woe to you, because you build tombs for the prophets, and it was your forefathers who killed them. 48 So you testify that you approve of what your forefathers did; they killed the prophets, and you build their tombs. 49 Because of this, God in his wisdom said, 'I will send them prophets and apostles, some of whom they will kill and others they will persecute.' 50 Therefore this generation will be held responsible for the blood of all the prophets that has been shed since the beginning of the ________, 51 from the blood of Abel to the blood of _______________, who was killed between the altar and the sanctuary. Yes, I tell you, this generation will be held responsible for it all. 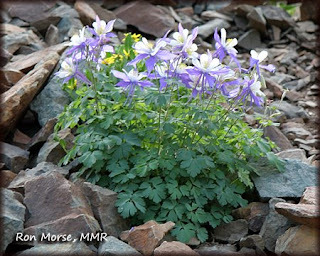 Columbines on Ophir Pass (goes between Telluride and Ouray, Colorado). PTP: If you want to set the world right, start with yourself. 46 Jesus replied, "And you experts in the law, woe to you, because you load people down with burdens they can hardly carry, and you yourselves will not lift one ________ to help them. 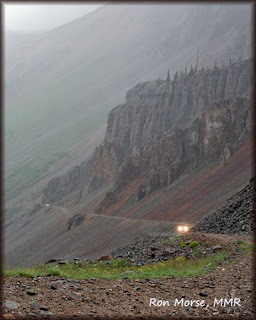 We are on Ophir Pass (goes between Telluride and Ouray, Colorado). PTP: What matters most to Jesus is what’s on the inside. 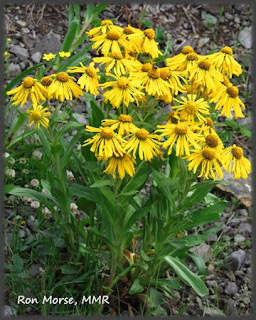 43 "Woe to you Pharisees, because you love the most __________ seats in the synagogues and _____________ in the marketplaces. PTP: Wisdom is the reward you get for a lifetime of listening when you'd have preferred to talk. 37 When Jesus had finished speaking, a Pharisee invited him to eat with him; so he went in and reclined at the table. 38 But the Pharisee, noticing that Jesus did not first wash before the meal, was surprised. 39 Then the Lord said to him, "Now then, you Pharisees clean the outside of the cup and dish, but inside you are full of ______ and _________. 40 You foolish people! Did not the one who made the outside make the inside also? 41 But give what is inside [the dish] to the poor, and everything will be clean for you. 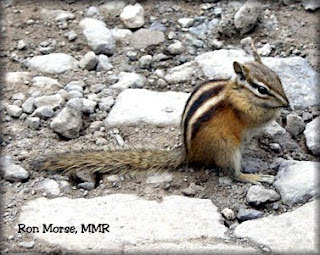 PTP: Worry doesn't help tomorrow's troubles, but it does ruin today's happiness. 33 "No one lights a lamp and puts it in a place where it will be hidden, or under a bowl. Instead he puts it on its stand, so that those who come in may see the light. 34 Your eye is the lamp of your body. When your eyes are good, your whole body also is full of light. But when they are bad, your body also is full of darkness. 35 See to it, then, that the light within you is not _________. 36 Therefore, if your whole body is full of light, and no part of it dark, it will be completely lighted, as when the light of a lamp shines on you." 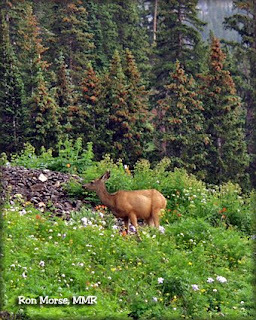 OKAY…time to leave Yankee Boy Basin (near Ouray, Colorado). 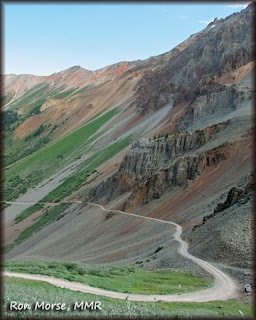 This is a shot of the road on the way out……if you have come from Telluride over Imogene Pass…..…or it’s on the way in from Ouray. PTP: One makes a living by what he gets; he makes a life by what he gives. 29 As the crowds increased, Jesus said, "This is a wicked generation. It asks for a miraculous sign, but none will be given it except the sign of Jonah. 30 For as Jonah was a sign to the Ninevites, so also will the Son of Man be to this generation. 31 The Queen of the South will rise at the judgment with the men of this generation and condemn them; for she came from the ends of the earth to listen to Solomon's wisdom, and now one greater than Solomon is here. 32 The men of Nineveh will stand up at the judgment with this generation and condemn it; for they repented at the preaching of Jonah, and now one __________ than Jonah is here. 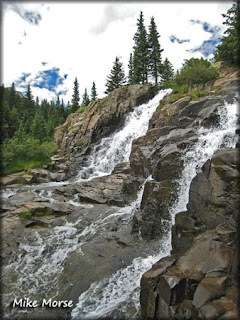 OKAY…It's time to leave Yankee Boy Basin (near Ouray, Colorado). 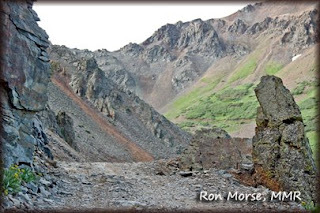 This is a shot of the road on the way out……if you have come from Telluride over Imogene Pass…..…or it’s on the way in from Ouray. Yankee Boy is a beautiful but dangerous area. 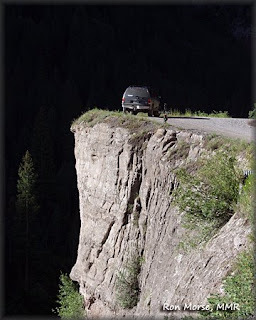 Back in August of 2006 a person was killed in this general area when a man driving a Jeep Rubicon was struck by a rock that crashed through the top of his vehicle. 28 He replied, "Blessed rather are those who hear the word of God and _______ it." 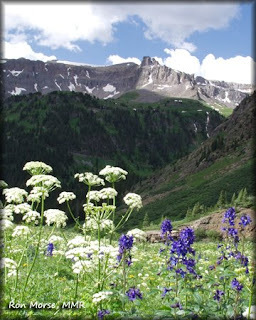 We are in Yankee Boy Basin (near Ouray, Colorado). PTP: If we fill our hours with regrets of yesterday and with the worries of tomorrow, we have no today in which to be thankful. 24 "When an evil spirit comes out of a man, it goes through arid places seeking rest and does not find it. Then it says, 'I will return to the house I left.' 25 When it arrives, it finds the house swept clean and put in order. 26 Then it goes and takes seven other spirits more ________ than itself, and they go in and live there. And the final condition of that man is worse than the __________." PTP: Our strength is shown in the things we stand for; our weakness is shown in the things we fall for. 21 "When a strong man, fully armed, guards his own house, his possessions are safe. 22 But when someone stronger attacks and overpowers him, he takes away the armor in which the man trusted and divides up the spoils. 23 "He who is not with me is _________ me, and he who does not gather with me, ____________. 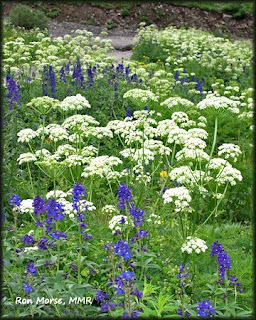 PTP: Yesterday is experience, tomorrow is hope...today is getting from one to the other. 17 Jesus knew their thoughts and said to them: "Any kingdom __________ against itself will be ruined, and a house ___________ against itself will fall. 18 If Satan is divided against himself, how can his kingdom stand? I say this because you claim that I drive out demons by Beelzebub. 19 Now if I drive out demons by Beelzebub, by whom do your followers drive them out? So then, they will be your judges. 20 But if I drive out demons by the finger of God, then the kingdom of God has come to you. 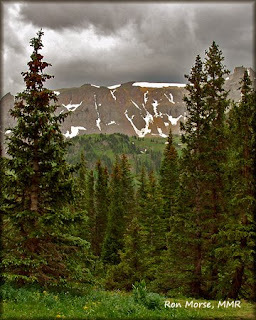 We are in Yankee Boy Basin (near Ouray, Colorado). 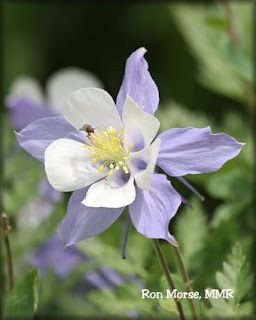 Columbines…..
PTP: Today before you say an unkind word - Think of someone who can't speak. 14 Jesus was driving out a demon that was mute. When the demon left, the man who had been mute spoke, and the crowd was amazed. 15 But some of them said, "By B____________, the prince of demons, he is driving out demons." 16 Others tested him by asking for a sign from heaven. PTP: Remember...................even if you are on the right track, you'll get run over if you just sit there! 11 "Which of you fathers, if your son asks for a fish, will give him a snake instead? 12 Or if he asks for an egg, will give him a _________? 13 If you then, though you are evil, know how to give good gifts to your children, how much more will your Father in heaven give the Holy Spirit to those who ask him!" PTP: Truth does not depend on a consensus of opinion. 9 "So I say to you: _____and it will be given to you; _____ and you will find; ______ and the door will be opened to you. 10 For everyone who asks receives; he who seeks finds; and to him who knocks, the door will be opened. PTP: Devoting a little of yourself to everything means committing a great deal of yourself to nothing. 7 "Then the one inside answers, 'Don't bother me. The door is already locked, and my children are with me in bed. I can't get up and give you anything.' 8 I tell you, though he will not get up and give him the bread because he is his _________, yet because of the man's boldness he will get up and give him as much as he needs. 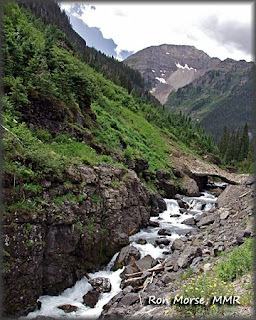 We are in Yankee Boy Basin (near Ouray, Colorado). 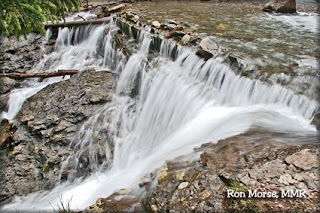 It’s noon...... so the rain is moving in…..
PTP: Joy is not the absence of suffering, but the presence of God. 38 As Jesus and his disciples were on their way, he came to a village where a woman named Martha opened her home to him. 39 She had a sister called Mary, who sat at the Lord's feet listening to what he said. 40 But Martha was distracted by all the preparations that had to be made. She came to him and asked, "Lord, don't you care that my sister has left me to do the work by myself? Tell her to help me!" 41 "Martha, Martha," the Lord answered, "you are worried and upset about _______things, 42 but only one thing is needed. Mary has chosen what is better, and it will not be taken away from her." 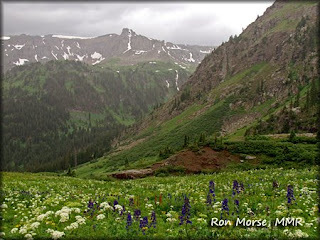 We are in Yankee Boy Basin (near Ouray, Colorado). 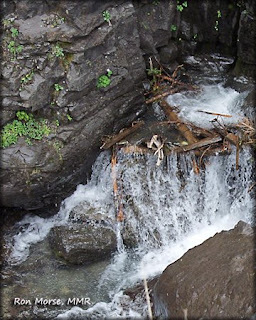 More waterfalls…. PTP:The less a man knows the easier it is to convince him he knows it all. 37 The expert in the law replied, "The one who had _________ on him." 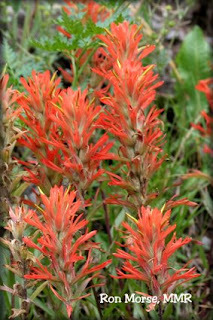 We are in Yankee Boy Basin (near Ouray, Colorado). 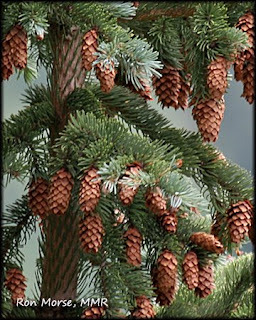 Pop’in Pine Cones! PTP: Ideas are like children--no matter how much you admire someone else's, you can't help liking your own best. 25 On one occasion an expert in the law stood up to test Jesus. "Teacher," he asked, "what must I do to inherit eternal life?" 27 He answered: "'Love the Lord your God with all your ________ and with all your soul and with all your strength and with all your mind'; and, 'Love your ___________ as yourself.'" 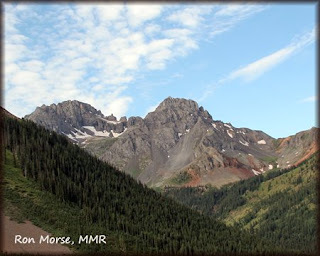 Photo by Mike Morse….We are in Yankee Boy Basin (near Ouray, Colorado). PTP: Faith isn't believing in spite of evidence. Faith is obeying in spite of consequence. 23 Then he turned to his disciples and said privately, "Blessed are the eyes that see what you see. 24 For I tell you that many ________ and kings wanted to see what you see but did not see it, and to hear what you hear but did not hear it." PTP: A good listener is not only popular everywhere, but after a while he knows something. 17 The seventy-two returned with joy and said, "Lord, even the __________ submit to us in your name." 18 He replied, "I saw Satan fall like lightning from heaven. 19 I have given you authority to trample on snakes and scorpions and to overcome all the power of the enemy; nothing will harm you. 20 However, do not rejoice that the spirits submit to you, but rejoice that your names are written in heaven." 22 "All things have been committed to me by my Father. No one knows who the Son is except the Father, and no one knows who the Father is except the Son and those to whom the Son ___________ to reveal him." PTP: It's not the load that brings you down, it's the way you carry it. 16 "He who listens to you listens to me; he who rejects _____ rejects ____; but he who rejects me rejects him who sent me." We are in Yankee Boy Basin (near Ouray, Colorado). 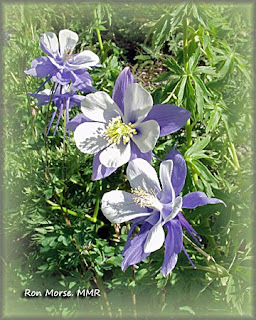 Here is what Yankee Boy is known for…wildflowers…this is the Colorado state flower…the Columbine. PTP: If the church wants a better pastor, it only needs to pray for the one it has. 13 "Woe to you, Korazin! Woe to you, Bethsaida! For if the miracles that were performed in you had been performed in Tyre and Sidon, they would have _________ long ago, sitting in sackcloth and ashes. 14 But it will be more bearable for Tyre and Sidon at the judgment than for you. 15 And you, Capernaum, will you be lifted up to the skies? No, you will go down to the depths. 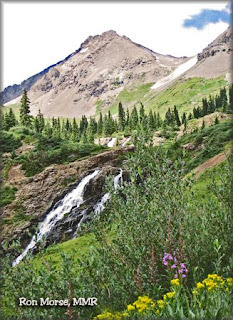 We are in Yankee Boy Basin (near Ouray, Colorado). 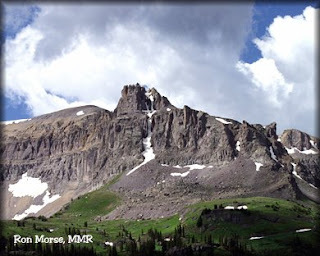 Here is a view of Mendota Peak. PTP: Some minds are like concrete thoroughly mixed up and permanently set. 5 "When you enter a house, first say, 'Peace to this house.' 6 If a man of peace is there, your peace will rest on him; if not, it will return to you. 7 Stay in that house, eating and drinking whatever they give you, for the worker deserves his wages. Do not move around from house to house. 8 "When you enter a town and are welcomed, eat what is set before you. 9 Heal the sick who are there and tell them, 'The kingdom of God is near you.' 10 But when you enter a town and are not welcomed, go into its streets and say, 11'Even the dust of your town that sticks to our feet we wipe off against you. Yet be sure of this: The kingdom of God is near.' 12 I tell you, it will be more bearable on that day for _______ than for that town. 10:1 After this the Lord appointed _________-two others and sent them two by two ahead of him to every town and place where he was about to go. 2 He told them, "The harvest is plentiful, but the _______ are few. Ask the Lord of the harvest, therefore, to send out workers into his harvest field. 3 Go! I am sending you out like lambs among wolves. 4 Do not take a purse or bag or sandals; and do not greet anyone on the road. PTP: Don't be a cloud because you failed to become a star. 62 Jesus replied, "No one who puts his hand to the plow and looks back is fit for service in the kingdom of God." 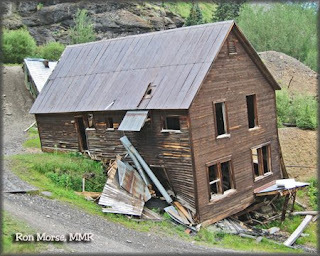 We have taken the turn off to go up into Yankee Boy Basin….There are many old mines along the way..
PTP: Adolescence is the awkward age when a child is too old to say something cute and too young to say something sensible. 51 As the time approached for him to be taken up to heaven, Jesus resolutely set out for Jerusalem. 52 And he sent messengers on ahead, who went into a ___________ village to get things ready for him; 53 but the people there did not welcome him, because he was heading for Jerusalem. 54 When the disciples James and John saw this, they asked, "Lord, do you want us to call fire down from heaven to destroy them?" 55 But Jesus turned and rebuked them, 56 and they went to another village. 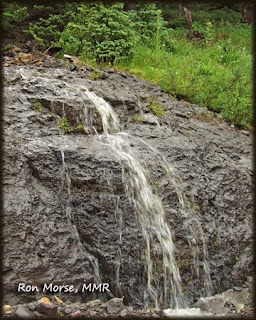 Another waterfall on the Ouray side of Imogene Pass….Actually this is our LAST photo of Imogene Pass…..Tomorrow we take the turnoff to go up into Yankee Boy Basin..
PTP: Striking while the iron is hot is OK, but don't strike while the head is hot. 49 "Master," said ________, "we saw a man driving out demons in your name and we tried to stop him, because he is not one of us." 50 "Do not stop him," Jesus said, "for whoever is ____ against you is ___ you."